Chiripal Poly Films is an Indian leading manufacturer of flexible packaging solutions, producing Biaxially Oriented Poly Propylene (BOPP) films, Biaxially-Oriented Polyethylene Terephthalate (BOPET) films, and PET resin chips. It was founded in August 2009 and started production operations in January 2012 by installing its first production line of BOPP films with German technology in Ahmedabad (western India), with easy access to Mundra, Mumbai, and Pipalav sea ports. Currently, Chiripal has three films production lines; two of BOPP and one line of BOPET, with total production capacity of 118,000 MTPA. In this short tenure, it has established a good reputation in terms of products, quality and services; not only in the domestic market but internationally as well. The state of the art high-performance lines enhances its capability to fulfill customers’ needs and fosters the development of new customized films for different applications and tailor-made products. Chiripal recently expanded backwards by entering the PET resin manufacturing business. With 220,000 MTPA production capacity, the state of the art PET resin plant is capable to produce bottle, textile, and film grade chips. It ensures timely supply of raw material to the BOPET film plant, and gives the opportunity to serve other plastic segments such as water & carbonated drinks packaging, and textile processing. The company has undertaken aggressive expansion plans for the coming years. It aims to increase its current capacities adding more film lines, and will also enter the off-line coating business including value-added products in its portfolio. In this way, Chiripal targets to become a one-stop solution in the packaging industry. Chiripal has high-quality standards certifications on Quality Management Systems and food contact packaging. It is certified by AIB, BRC rated AA, ISO 9001, ISO 14001 and OHSAS 18001. Chiripal Poly Films is part of Chiripal Group, a multi-faceted business conglomerate founded in 1972. 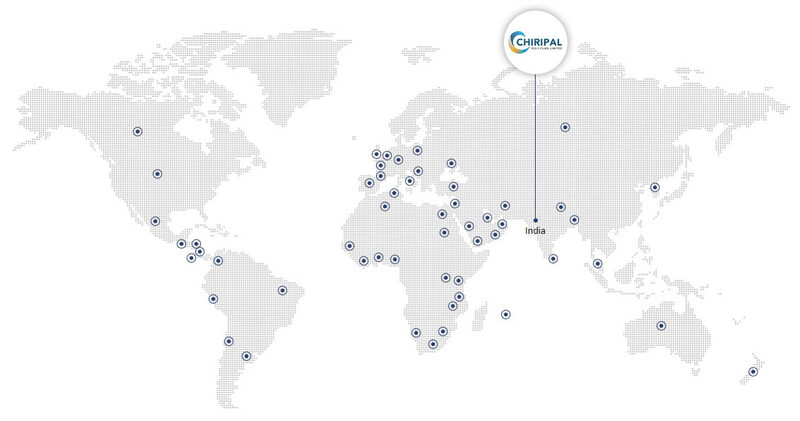 Chiripal Group has a current annual turnover of $700 million USD from various businesses including textiles, petrochemicals, flexible packaging, education, and infrastructure.